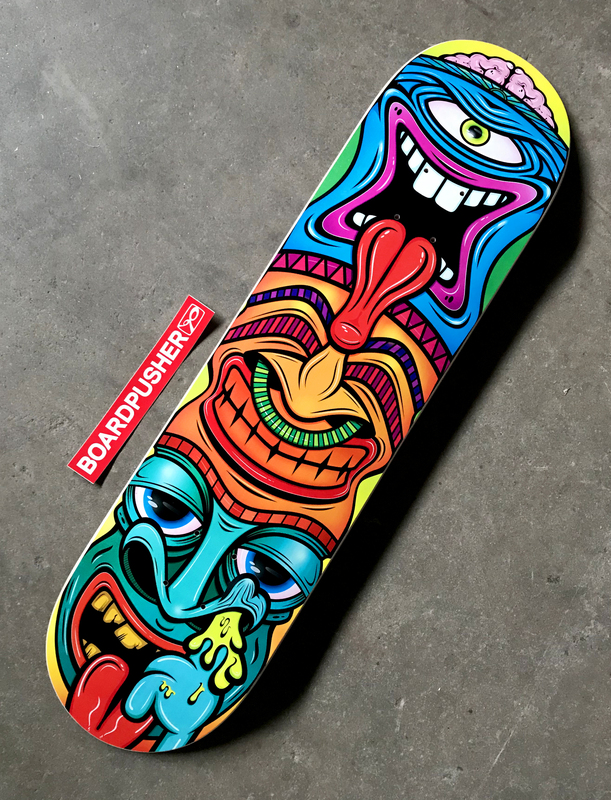 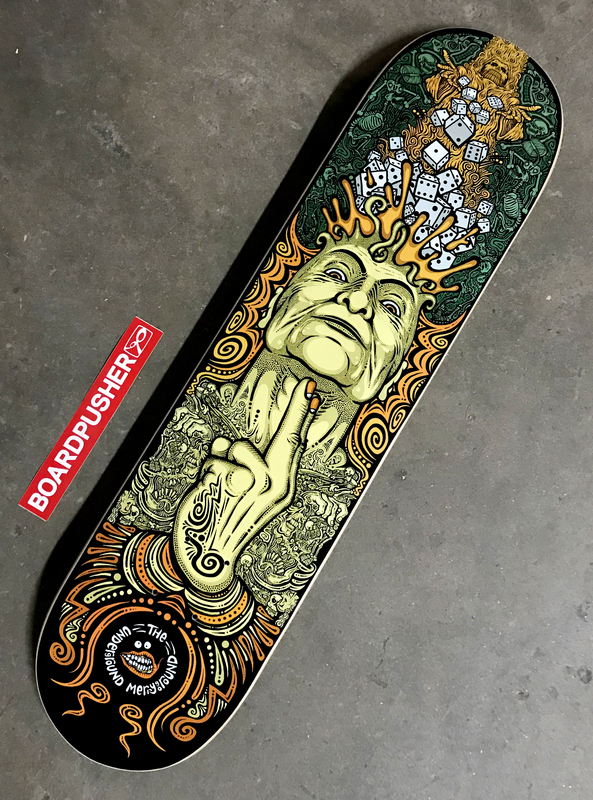 Today’s BoardPusher.com Featured Decks are graphics of characters created by Joseph Brown. 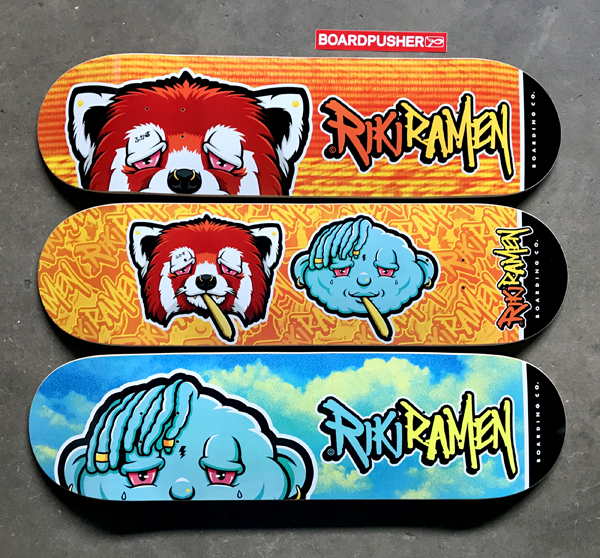 To check out “The  of your favorite  blowing, skateboarding, music hoarding Red Panda” head over to rikiramen.com or follow him on Instagram @rikiramen. 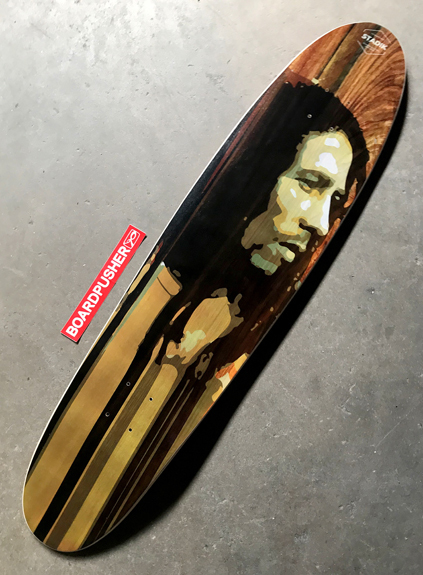 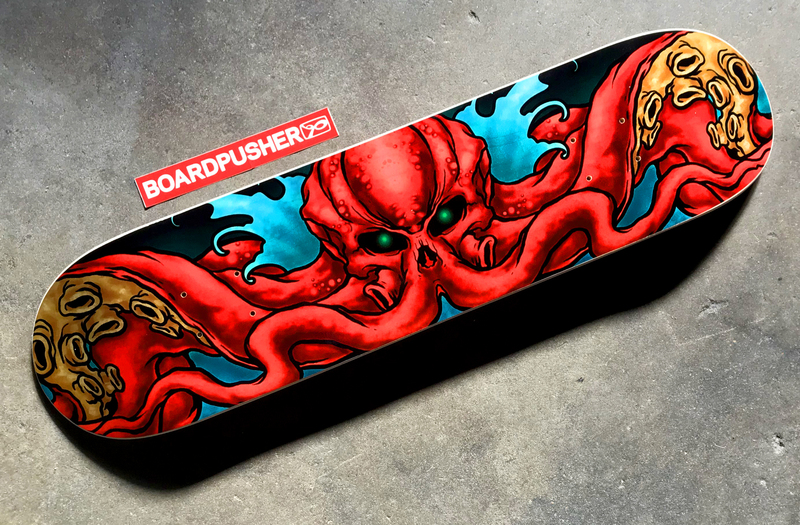 Give your characters a new life on a custom skateboard graphic at BoardPusher.com. Today’s BoardPusher.com Featured Deck is a digital portrait created by Paige Bohlen for her boyfriend, Alec. 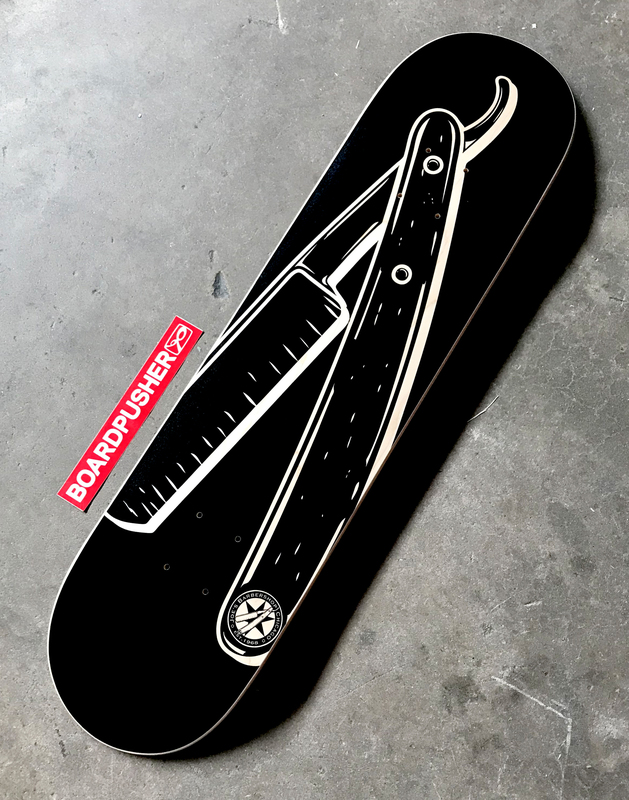 Paige used our draw template to create this custom graphic proving there is no wrong way to design a skateboard. 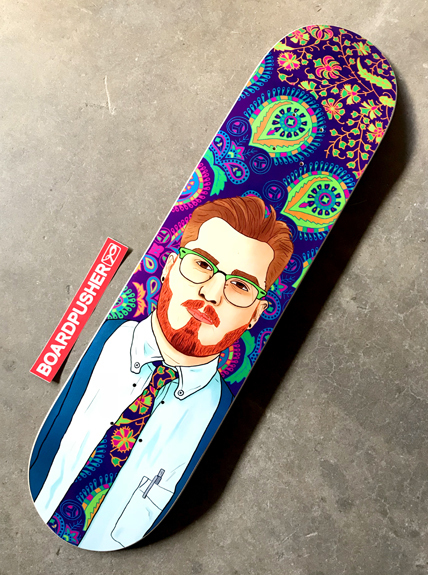 You can view more of Paige’s artwork at behance.net/Paigebohlen or by following her on Instagram @modge_podge_. Whether it’s a photo or a painting/drawing/etc., a portrait is a great gift for the skateboarder in your life. Gives them the chance to skate their face off. 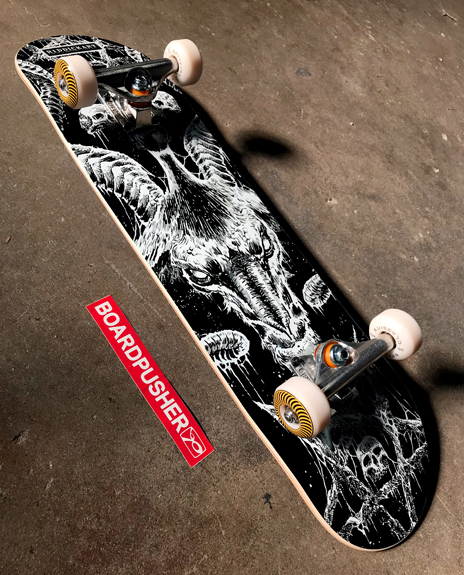 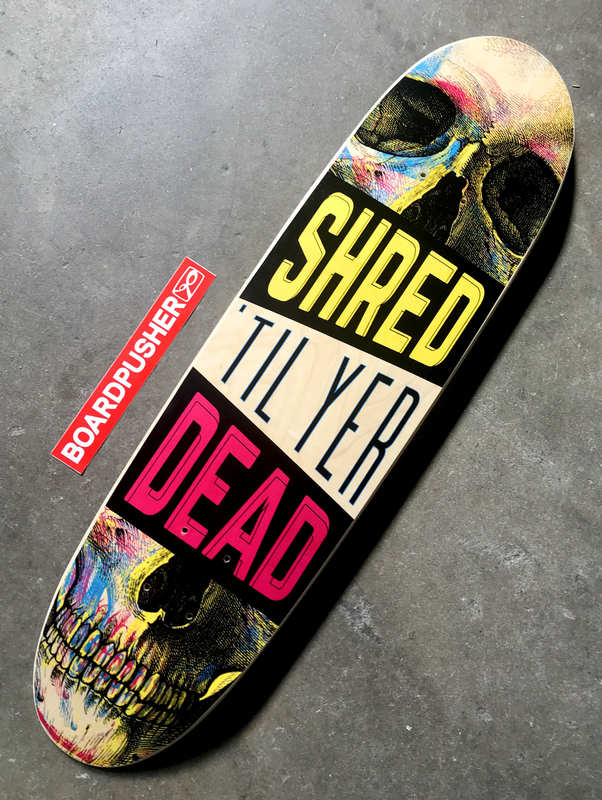 Get started designing one now at BoardPusher.com.